Don’t forget that your cars and trucks have upholstery and carpet mats in them that may need attention, and if you have a boat or an RV or even an airplane within Connecticut, we can clean and protect them while we are at your home or business establishment. Keeping the inside of your car or truck clean is as important as regular oil changes to maintain the health and value of your vehicle. Cars and trucks collect dust, mud, salt and allergens from the outside air, and can get very dirty very quickly. Keeping the interior of your car clean is just as important for your health as it is for the appearance of your vehicle. If your vehicle needs a little attention, Professional Carpet Systems can clean and protect them at the same time we are at your home or business for other services. We specialized in stains and spot removal as well as odor removal, and will work to restore your car’s interior to a clean, fresh and inviting environment. Large vehicles including campers, busses and other recreational vehicles require regular cleanings, too. Professional Carpet Systems will travel to you to clean your larger vehicles. Carpeting, seating and other upholstered furniture should be professionally cleaned periodically to remove stains, odors and allergens from the materials clean. One of the most common problems when it comes to vehicle upholstery is odors, and since the interior of your vehicle is a small and confined space, odors can become a real problem very quickly. 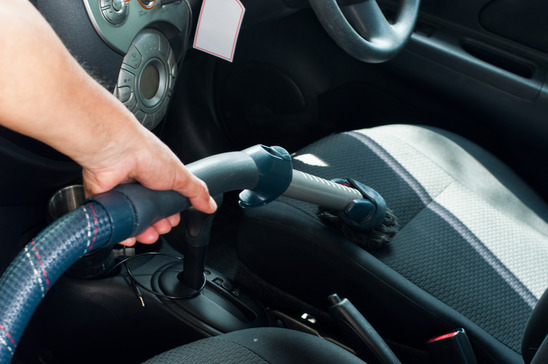 Odors from pets, tobacco use, and food spills can quickly overwhelm both driver and passengers, requiring the attention of a professional vehicle upholstery cleaner. Professional Carpet Systems will remove and neutralize odors in your vehicle, returning the interior of your car or truck to a pleasant and inviting environment. Vehicle owners, especially those with pets or children, often have spot and stain removal needs due to spills and accidents. Trust the experts at Professional Carpet Systems to treat and remove stains on your vehicle’s upholstery.